← Fight the 600-pound gorilla in the room! Recent studies indicate that you should wait 30-60 minutes to brush your teeth after meals. Now this is in direct conflict with the guidance we all have grown up with that says it’s best to brush your teeth immediately following meals! 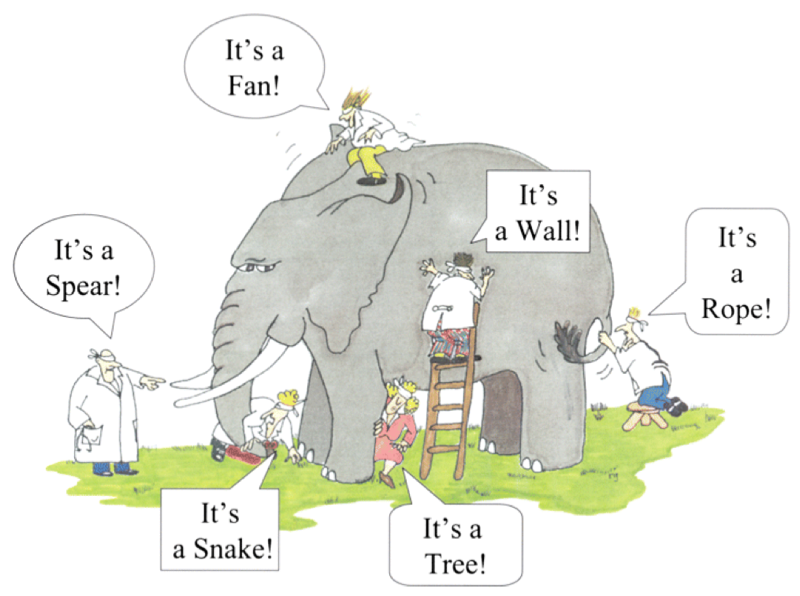 Scientists sometimes appear to me to be the blind men assessing an elephant — each reporting from their small vantage point on a much larger problem. So what are the rest of us to do about all that “good,” but oftentimes conflicting information? Here’s the 3-step process that works best for me. Is it low risk? If there’s not too much to lose, then trusting my instincts until I know differently isn’t such a bad idea. Is it high risk? Then further research is required — I read 4-5 articles, sometimes as many as 10 or more — to get a sense of what’s happening. I listen with an open mind to arguments from several sides and chat with my trusted advisors before coming to my own reasonably informed decision. If I’m still not sure? After digging in to pursue the “truth” and I’m still not sure, I then follow the advice given to doctors: “first, do no harm.” I use my best judgement to do as little damage as possible in the short term, and I seek professional advice as soon as I can. (i) Rinse my mouth with water following meals. I tend to do this, regardless, because I’m often away from home during mealtime and can’t brush my teeth, anyway. Rinsing with water is a simple way to avoid stains and to reduce bacteria. (ii) Make sure I brush at least twice a day. I worry about brushing my teeth twice a day — and that’s it. I may use a dental flosser or toothpick to remove food from my teeth along with rinsing my teeth throughout the day, but my focus is on getting two good cleanings in each day. Period. Extra brushings after that are bonuses! I will try to get them in, but I never worry about them. There are people out there with very special needs, so be sure to check with your dentist to determine whether you are one of them. Otherwise, good judgement and a consistently applied routine of basic oral hygiene should work for most of us. :c) SMILEY TIP — You can discreetly rinse your teeth with small amounts of water from a drinking glass while sitting at the table. After eating, just move a very small amount of water around your teeth and swallow. Repeat 2-3 times, and you’re done. Try it! Rinsing with water is an easy way to help prevent stains and remove enough food particles to slow bacteria until you can brush.